The Pound New Zealand Dollar (GBP/NZD) exchange rate is steady today and is currently trading around NZ$1.910 on the inter-bank market. Sterling (GBP) failed to gain on the New Zealand Dollar (NZD) following the publication of the Reserve Bank of New Zealand’s (RBNZ) Q1 business inflation expectations figures, which slipped to 2.02%. Continuing concerns over the Chinese economy – New Zealand’s biggest trading partner – are also causing many NZD traders to remain cautious, with reports that Chinese retail figures slowed to their slowest level since 2005. Many ‘Kiwi traders, however, are remaining apprehensive over the stalemate between the US and China regarding trade – with the deadline for the ‘trade truce’ between the two nations due to end on 1 March. There are no notable UK economic data releases today, with many Pound traders instead focusing on a speech to be delivered by the Governor of the Bank of England, Mark Carney – and with any dovish comments this could see the GBP/NZD exchange rate fall. NZD traders will be looking ahead to tomorrow when the RBNZ is set to release its interest rate decision, which is expected to remain unmoved at 1.75%. 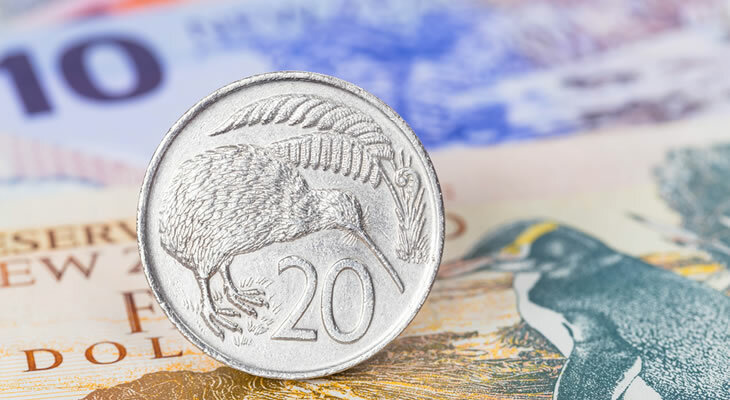 However, any dovish comments about New Zealand’s economy made during the rate statement following the decision is likely to dampen confidence in the ‘Kiwi’, and could see the NZD/GBP exchange rate fall. Tomorrow will also see the publication of the Chinese yearly foreign direct investment figures for January, and with any signs of an increase this could buoy confidence in NZD as New Zealand’s biggest trading partner show signs of recovery. GBP traders, meanwhile, will be looking to tomorrow’s retail price index figures for January, which are, however, expected to decrease. These will be followed by the printing of the UK PPI core output figures for January. The GBP/NZD exchange rate, however, will most likely be dictated by Brexit developments again this week, with Theresa May rallying to secure parliamentary consensus on the newly amended deal ahead of the imminent 29 March leave date.